[Screening Info] “Asian Three- Fold Mirror 2018：Journey”will have its International premiere at 13th Jogja-NETPAC Asian Film Festival! After having world premiere at The 31st Tokyo International Film Festival, we are honored to announce the second installment of the Asian Three-Fold Mirror Project, Asian Three-Fold Mirror 2018：Journey will have its international premiere at the 13th Jogja-NETPAC Asian Film Festival (JAFF). Jogja-NETPAC Asian Film Festival (JAFF) is a premier Asian film festival in Indonesia focusing on the development of Asian cinema. This festival not only contributes to introducing Asian cinema to a wider public in Indonesia, but it also provides a space for the intersection of many sectors such as arts, culture, and tourism. Since its inception, JAFF has worked closely with NETPAC (Network for the Promotion of Asian Cinema), a worldwide organization of 30 member countries. Headquartered in Colombo Srilanka, NETPAC is a pan-Asian film and cultural organization involving critics, filmmakers, festival organizes and curators, distributors and exhibitors, as well as educators. It is considered a leading authority in Asian cinema. Each year, JAFF presents several awards to the best films in Asia such as Golden Hanoman Award, Silver Hanoman Award, NETPAC Award, Blencong Award and Geber Award to express the deepest appreciation for Asian cinema. Asian Three-Fold Mirror 2018：Journey will be screened on December 3 at 13:00 followed by a symposium with guest speakers Daishi Matsunaga (Director/Japan), Edwin (Director/Indonesia) and Ma Sai (DOP & Editor/China). 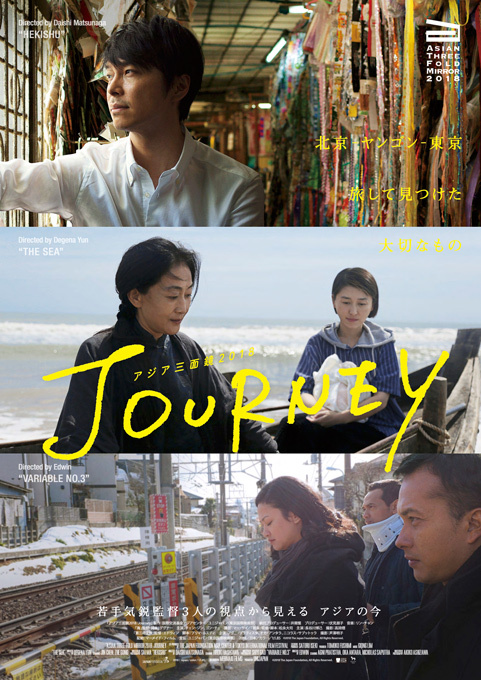 The Tokyo International Film Festival (TIFF) and the Japan Foundation Asia Center today unveiled the official poster and trailer for Asian Three-Fold Mirror 2018: Journey, the second of the omnibus film series co-produced by the two organizations. The poster and trailer designs were created to evoke the title, signifying “Journey,” traveling beyond time and space. We also announced today that Lim Giong, an internationally acclaimed composer, created scores of the film. He is known for his work on films directed by Hou Hsiao-hsien and Jia Zhangke. Lim Giong is a musician, singer, songwriter, DJ and composer. During a nearly three-decade career, he has worked with artists in a variety of fields and participated in many international collaborations. He is currently focusing mainly on the creation of scores for films and documentaries. 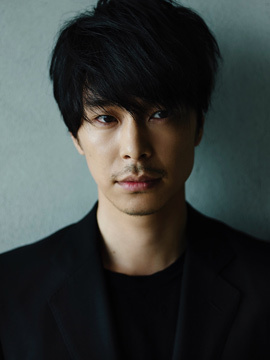 The Tokyo International Film Festival (TIFF) today revealed the main international cast for the omnibus film co-production Asian Three-Fold Mirror. The project is being directed by three accomplished Asian filmmakers, Degena Yun (China), Daishi Matsunaga (Japan) and Edwin (Indonesia), under the common theme “Journey,” signifying traveling beyond time and space. The second Asian Three-Fold Mirror co-production, Asian Three-Fold Mirror 2018: Journey is a collaboration between the Japan Foundation Asia Center and TIFF. As previously announced, one of Indonesia’s most popular actors, Nicholas Saputra, has been cast to star in all three omnibus episodes. Today it has been confirmed that acclaimed Chinese actress Jin Chen and upcoming actress Zhe Gong will be starring in Degena Yun’s episode, The Sea; while one of Japan’s most striking Japanese actors, Hiroki Hasegawa, and an actress from Myanmar who is making her feature film debut, Nandar Myat Aung, will be starring in Matsunaga’s chapter, Hekishu. Popular Indonesian actress Agni Pratistha and one of her country’s most distinguished actors, Oka Antara, will be appearing in the episode by Edwin, Variable No. 3. The protagonist of each chapter is an Asian living in an Asian country, allowing the directors to express their own unique visions and to film on location in Asia, creating one omnibus film. Production is now under way, and will be completed in time for a world premiere at the 31st edition of the Tokyo International Film Festival, to be held from October 25 to November 3, 2018. The film will then be theatrically released from November 9 to 15, 2018 at three theaters in Japan, immediately following the theatrical release of the first Asian Mirror omnibus from October 12-18. Degena Yun brings us a road movie about a mother and daughter whose characters are radically different, traveling together to the sea from Beijing. As the purpose of the trip is gradually revealed, the film is sure to provoke tears. Degena sheds light on universal parent-child relationship issues, while also illuminating human relations in contemporary China. It is a challenging story strongly reflecting Degena’s own personal experiences and background. Veteran actress Jin Chen plays the mother, and highly acclaimed young actress Zhe Gong plays the daughter. 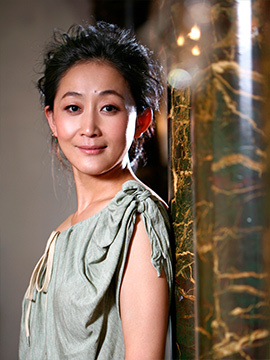 Jin Chen had her first starring role in Out of the Desert in 1988, playing the female protagonist. In 1999, Chen starred in Roaring Across the Horizon, winning the Huabiao Award for Outstanding Actress, the Golden Rooster Award for Best Supporting Actress and Best Supporting Actress at the Changchun Film Festival. She has appeared in works by renowned filmmakers, such as Curse of the Golden Flower, directed by Zhang Yimou, and Aftershock, directed by Feng Xiaogang. In 2015, Nezha earned her Best Supporting Actress at the Shanghai International Film Festival New Media Awards, and in 2016, Chen’s performance in A Noble Spirit helped it win a Huabiao Award for Prominent Films on Ethnic Minorities. This year, she earned an award from the organizing committee of the 25th Beijing Student Film Festival for Hold your Hands. In recent years, films from China and throughout Asia have made breakthrough progress. Many movie projects are created by international teams from various Asian countries, which will undoubtedly complement each other and enhance the quality of films in their respective countries through cooperation and communication. As an actress, I would like to have more opportunities to collaborate with outstanding directors and actors from all over Asia in the future, to present more wonderful movies to the audience. Finally, I hope Asian Three-Fold Mirror will have a successful release and shine at the Tokyo International Film Festival! Zhe Gong earned a master’s degree in filmmaking at the China Central Academy of Fine Arts. She made her debut as an actress in You and Me (2005), which earned her numerous awards and nominations and was screened at the 18th TIFF. She went on to appear in a variety of films, including Good Earth, Stronger Than Earthquake and Xidan Street Girl . Accolades include the Beijing Student Film Festival Best Newcomer Award, and Chinese Film Media Awards Best New Performer. I am so very happy to have had the opportunity to participate in Asian Three-Fold Mirror. The Sea is a wonderful piece, and shooting it proved a very important experience for my growth as an actress. Not only did I encounter a director and cast mates whom I highly respect, but I’ve gained a more mature perspective towards family and the relations within, and hence a deeper grasp on the bonds within a family and how important they are. I hope that family-themed films like this one travel far and wide, evoke various emotions in people in certain moments in their daily lives, and provide an opportunity for more understanding and thought. Set in Yangon, Myanmar, the story revolves around a Japanese businessman who is involved in an infrastructure development project in the city. With lush colors and imagery, Matsunaga captures the evolution and loss of a city that has just democratized, the interactions between the man and the people of Yangon, and the emotional effect these all have on this businessman. 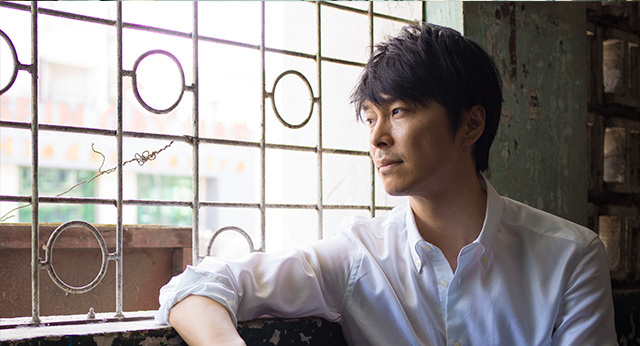 Playing the main character is Hiroki Hasegawa, one of the most in-demand Japanese actors today. In a quiet but powerful performance, Hasegawa’s portrayal of this character allows us to see him in a new light. Joining Hasegawa is newcomer Nander Myat Aung, making an appearance in a beautiful traditional costume. Hiroki Hasegawa joined the Bungakuza, one of the most prestigious theater companies in Japan, in 2001 and trained as a stage actor. He appeared in such stage productions as “Kafka on the Shore” (2010) and “Henry VI” (2010), both directed by Yukio Ninagawa. Hasegawa gained mainstream attention and received the 35th Japan Academy Prize Newcomer of the Year with his feature film debut. He went on to appear in numerous films, including Sion Sono’s Why Don’t You Play in Hell? (2013), Hideaki Anno’s Shin Godzilla (2016), which earned him the 40th Japan Academy Prize Actor of the Year, and Kiyoshi Kurosawa’s Before We Vanish (2017). Hasegawa will star in TV drama “Manpuku” from October 2018, and in NHK’s historical drama series “Kirin ga Kuru”, which starts airing in 2020. Nandar Myat Aung was born in Rakhine State, northwest Myanmar, on the border with Bangladesh, and went to the National University of Art and Culture in Yangon to study acting. She switched to directing in her second year. She has acted in school projects and directed short student films. Asian Three-Fold Mirror marks her theatrical debut. Participating in the Asian Three-Fold Mirror project was my first experience working in a foreign production and I learnt a lot in terms of production. I am very impressed with the punctuality of the crew and their thorough pre-production. Known for his surrealistic touches, Edwin’s story is portrayed from his unique perspective. An Indonesian couple meets a mysterious man while traveling in Tokyo. A so-called consultant who runs a guest house, he gives them odd and sensuous advice. Starring in the film is Nicholas Saputra, one of the most acclaimed actors in Indonesia, who also appears in the two other Asian Three-Fold Mirror episodes. Also starring are popular Indonesian actress Agni Pratistha and Oka Antara, who previously appeared in the Japanese-Indonesian co-production Killers, opposite Kazuki Kitamura. 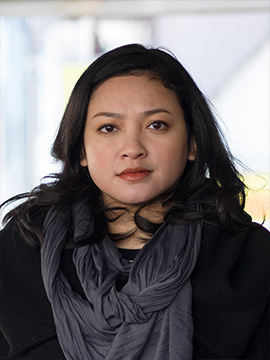 Agni Pratistha was born in Australia and raised in Jakarta, Indonesia. She starred in Mengejar Matahari (Chasing the Sun), which was shown in the International Film Festival Rotterdam in 2005. Pratistha also starred in Cinta Tapi Beda and Pinky Promise. She is also an entrepreneur, having founded Chubby Max cookies and Ark Motion Images, as well as a 2006 winner of Puteri Indonesia (Miss Indonesia Universe), and she went on to represent Indonesia in the Miss Universe Contest in 2007. It was such an amazing opportunity to be a part of Variable No. 3. This movie definitely had some interesting challenges for me. But working with the perfect team who gave their 100% and supported each other… I couldn’t ask for more. Oka Antara was born and raised in Jakarta, Indonesia. He entered the entertainment industry through music in his teens, but soon changed to acting and moved to bigger roles at a rapid pace. His achievements include the Best Supporting Actor Award for Mencari Hilal at the Indonesian Movie Awards in 2010. Antara is best known for starring in the films Sang Penari (The Dancer), V/H/S/2, and The Raid 2. He also played the main character in the psychological thriller Killers, which was the first collaboration in the genre between Japan and Indonesia, co-starring with Kazuki Kitamura. First off let me say that it is a blessing for me to have worked with everyone on this project. The story is so different and it put me in a new category of challenge. It is always fun to be working with people from different countries and different languages. I am proud to be a part of this film. 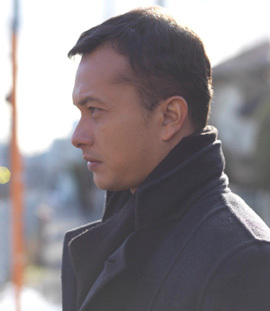 Nicholas Saputra appears in all three omnibus episodes, and plays the main role in Variable No. 3. Saputra was born in Jakarta, Indonesia. He completed his BA in Architecture at the University of Indonesia. He made his acting debut in What’s Up with Love in 2002, which was the biggest box-office success in Indonesia at the time. The film was distributed across Asia and Europe. 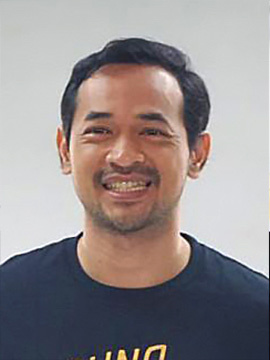 Saputra went on to work with prominent Indonesian directors such as Riri Riza (Gie, Indonesia’s official entry for Best Foreign Language Film at the 2006 Academy Awards) and Edwin (Postcards from the Zoo, Berlinale 2012). He was also the face of Chanel V from 2007-2008. In 2017, he co-founded a production company, Tanakhir Films, and is producing a documentary titled Semesta, currently in post-production. I am honored to be part of Asian Three-Fold Mirror. It was such an exciting experience to be able to work not only with various directors, but also getting to know my fellow cast members, crew members and different production styles across Asia.